These days customers are using multiple sources of technology to communicate with companies. Cloud contact centres are the answer to managing this new wave. Using the cloud to house contact solutions is becoming a major trend for the future of omnichannel customer communication. This year we’ll see a boom in cloud contact implementation across multiple industries thanks to the prolific channels customers now reach out from. 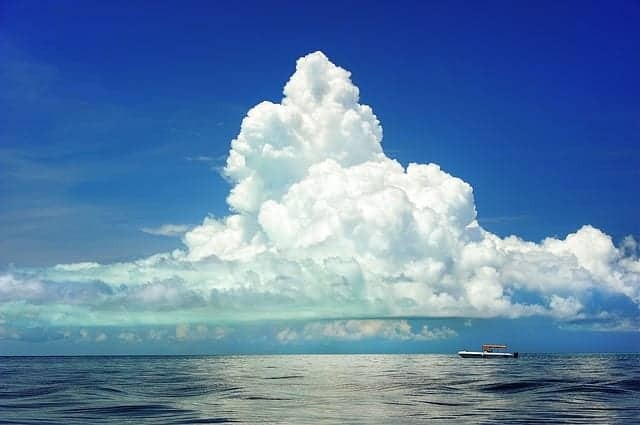 With this on the horizon, we wanted to pinpoint some major advantages of relying on that which we cannot see (the cloud). Investing in cloud contact centre technology can save a pile of money mostly because it avoids upfront capital investment but also reduces the reliance on renting physical spaces to house call centres and service agents. It also grants total control over extra costs like training and putting funds into trialling new products — especially in unfamiliar markets. Setting up shop remotely can open up the world to businesses confined to one geographical location. While the outsourcing of contact centres is on the decline due to customer complaints regarding language barriers and mediocre training, allowing agents to work from home anywhere in the world can reduce rent costs. This provides extra funding for training these employees more intensively and improving technology to meet customer demands. On a personal note, working remotely via virtual contact centres can help boost employee morale by both providing flexibility and helping them achieve a better work/life balance. The cloud is scalable, meaning it grows with business demands. Instead of the additional cost associated with buying hardware, cloud helps companies compartmentalise and manage data across multiple platforms instead of sifting through on-site applications. Using this type of contact centre means using a singular platform which becomes the central point of inbound and outbound customer communication for a company. Think of it as a central station, customer requests move in and out but the currency or in this case, data they produce plugs into one place making it easier to oversee and fix problems before they get too out of hand. In this case, everything is achieved using a server, which means adding on more hardware is not required. The benefit of this means not waiting months for installation, not to mention the additional time and money put towards training agents to use new systems. We’ve saved the best for last, with calls becoming a major source of valuable customer data, managing the flow of customer requests coming into a contact centre means not leaving anyone behind — like we’ve seen before with outsourcing contact centres, bad customer service does more damage than anything else. Call routing is an integrative technology welcomed by the cloud and can manage a large influx of callers by prioritising based on context. Customers are sent to the agents that can better meet their expectations instead of being kept on hold or lost in an IVR abyss. Learn more about call routing here!